The man, who police have not named, told officials he panicked when he realized he'd taken the wrong cart and left the infant unattended in another aisle. 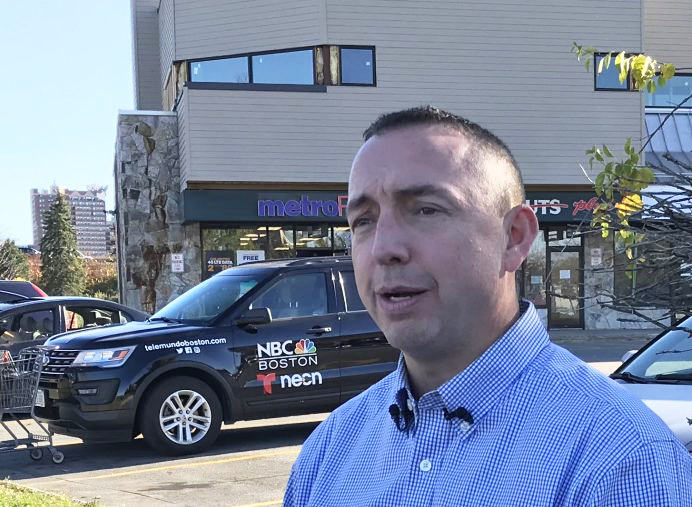 A man who had been sought by Portland police after appearing to try to walk off with an infant Friday at the Back Cove Hannaford supermarket told police he took the wrong shopping cart by mistake. Police said they have identified and questioned the man who took the cart containing the infant and determined that he was not trying to abduct the child. Store staffers were alerted just after 1 p.m. Friday by a father who reported that he was in the produce department with his 2-month-old child in a car seat in the basket of a shopping cart. He became distracted and the cart and child disappeared. The store immediately issued a “Code Adam Alert,” effectively preventing anyone from leaving the store while staff searched it. The baby was found a few minutes later in another aisle, unharmed and still restrained in the car seat. Store security video showed a man in the produce section leaving his original cart and taking the cart containing the baby. He later told police he realized his mistake within a minute. He went back to the produce section and got his own cart, leaving the other cart with the baby still in it in the bread aisle. The man told police he panicked when he realized what he had done, and didn’t immediately notify store employees. The District Attorney’s Office has reviewed the incident and determined no crime was committed. “We are pleased that we have been able to determine exactly what happened in this instance. It is a very frightening event for all parents and raised safety concerns in our community. It is important for our citizens to know that as disturbing as this incident was, it was not an attempt to abduct a child,” said Police Chief Michael Sauschuck.